By James Burns, Vice President, Corazon, Inc. If you buy 1,000 apples for $1.00 each and sell them for 75 cents each, how many do you need to sell to break even? It quickly becomes obvious that there will never be a break-even point! …But yet, healthcare leaders make this kind of misinformed assumption every day in relation to the financials of specialty hospital programs. While there are thousands of different scenarios that can be used as an example to demonstrate the value and impact of understanding all facets of cost and revenue, the following case study of a Corazon client in the Mid-West demonstrates how a well-planned and researched approach using data to support financial decisions saved an organization millions of dollars and untold volumes of stress during the development of a physician-led institute. This tertiary hospital was a market leader in cardiac surgery, interventions research, and wellness and disease management. Because of the reputation of the hospital, and the declining reimbursements their practice was experiencing, the leading cardiology group in the area approached the hospital for a possible purchase of their practice and employment of their physicians. After agreeing on a value of the practice assets, testing business, and other components, the next step was physician contracting. Initially, both sides looked to the staid model of a base salary and productivity arrangement based upon regionally generated benchmarks. But, the discussions did not progress very far before everyone realized a problem. While the group had been together for number of years, and had a solid mix of experienced partners and newer members to help retain viability, the productivity model currently used by the practice, and initially planned to be replicated by the hospital, was skewed: while RVU (relative value unit) generation, in theory, can be a good indicator of the work output of a physician, differences in resource utilization, time, and non-RVU assigned activities create variables that can equate to substantial inequities in payment structure. To be more specific, a few of these physicians were manning the remote outreach office locations of the practice. Since these offices did not have the same level of testing, or even patient throughput, fewer RVUs were recognized for their efforts. Additionally, drive times of over two hours per day were also not factored into the model. Conversely, the patient referrals for testing and procedures, both in the main practice location and the hospital, were not considered in this methodology. An even bigger challenge was made when looking at the top RVU-producing physician. Purely from RVU generation, because of the volume and complexity of the procedures performed, this doctor’s total RVUs placed him well into the 90th percentile range. However, a deeper evaluation showed that the work habits of this practitioner, coupled with the high-end supplies he required, actually made him one of the least profitable members of the practice. To prove a financial case, the hospital leader negotiating the contract called upon the CV Services Director to gather the information needed to present a balanced case, at least initially, from a hospital perspective. Data, such as cost overages for staffing and supplies, coupled with delayed start hours that could be attributed directly to the physician in question, and even inpatient stay information, was collected and analyzed. For each procedure XY performed, the hospital is paid a flat case-rate payment of $5,000. Typically, the direct costs for this type of procedure are about 70% of the payment, or $3,500, with the remainder being applied towards fixed costs, like equipment and overhead, and the costs of utilities, laundry, and other services. Direct costs equal the costs of staff plus the costs of supplies. With the doctor in question, the direct costs for his case were averaging $6,000 per case. A closer look at the data confirmed the reasons: because of his case over runs and scheduling issues, a majority of his cases resulted in overtime pay for staff during part or all of the procedure. Additionally, his preference for more costly supplies, along with higher-than-average usage, created higher supply costs for each case. Typically, these types of cases are only paid an outpatient rate, with the majority expected to be sent home the morning after the procedure (less than 24 hours). Because of later start times, these patients averaged a longer stay in the hospital (a stay without additional reimbursement because the patient’s condition didn’t warrant an extra level of care). To compound matters, a missed opportunity cost became associated with some of these cases, as other procedures had to be postponed because of a lack of procedure or recovery space. When looking at this physician’s financial impact from a practice standpoint, the financial performance was even worse. First, the number of work RVUs (wRVU) generated for performing a procedure and managing a patient equals 100. 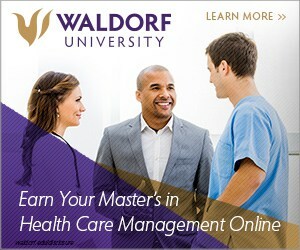 This does not include the rate that Medicare adds to physician payments for office overhead and malpractice insurance. Because of this particular physician’s current wRVU-based salary structure and the proposed structure that would be replicated in an employment agreement, most, if not all, of this payment will go directly toward the physician’s salary. 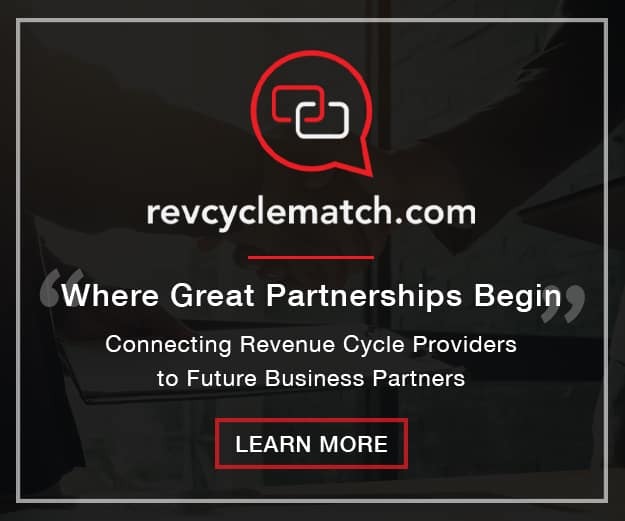 An additional disconnect between revenue and costs occur because the additional RVU payments for office costs and malpractice are not dollar paid for dollar spent. This physician, who has a higher malpractice insurance cost than his colleagues, creates an additional cost burden to the practice entity. Furthermore, because other agreements are in place wherein the practice is paid for directorships, test interpretations, and educational offerings, in the instances where this physician does not perform these tasks, or is not timely with them, practice revenue is deferred or lost. And lastly, with the additional costs of support staff for billing, inpatient rounding and management, managing patients in the office, testing obligations, and/or meeting on-call expectations will add additional costs to the practice. So, where this physician may generate a payment of $3,500 for this procedure and follow-up, if all of the incidental costs of performing care are not managed, or are increased to support this physician’s practice pattern,no benefit results from any additional wRVU generation because the losses will never be covered by the reimbursement. In this particular example, the hospital leader was able to use this financial information to develop an equitable payment model that increased the accountability of the individual physicians, as well as the group as a whole. When presented this level of detail around cost and profitability, this physician’s peers began to more closely follow this doctor’s practices, and eventually he left the group because he was not able to hide behind a high number of work RVUs any longer. 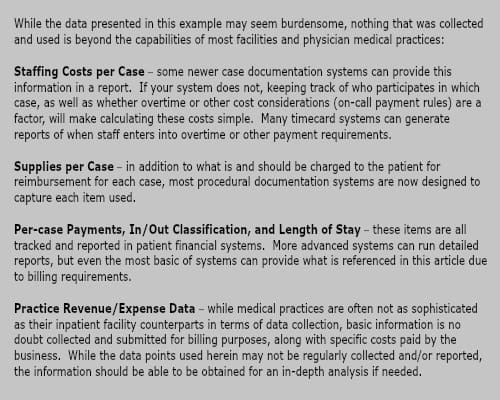 While not all examples may be this cut and dry, there are numerous opportunities for healthcare managers to better use information at their disposal, and, with a large number of hospital/physicians requiring some type of organizational oversight of performance, the roll of data in managing costs will only increase. 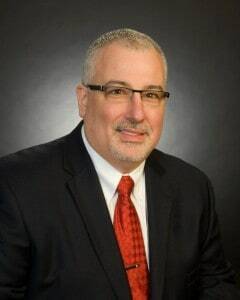 James Burns is a Vice President at Corazon, Inc., a national leader in strategic program development for the heart, vascular, neuro, and orthopedic specialties. Corazon offers a full continuum of consulting, software solution, recruitment, and interim management services for hospitals, health systems and practices of all sizes across the country and in Canada. To learn more, visit www.corazoninc.com or call 412-364-8200. To reach the author, email jburns@corazoninc.com.